Blog and News - Gerkin & Decker, P.C. What Guidelines Will the Judge Follow to Determine Child Support in Michigan? What Questions Should I Ask My Divorce Lawyer? What Should I Know About Planning My Estate? What Are The Benefits Of Hiring An Estate Planning Attorney? 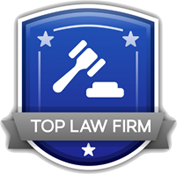 When Do I Need a Family Law Firm? How Can an Attorney Help with Temporary Orders in Family Court? How are Custody Rights Determined in Michigan? Can Both Parents Opt Out of Child Support? What Can You Do if Someone Files a False CPS Report?